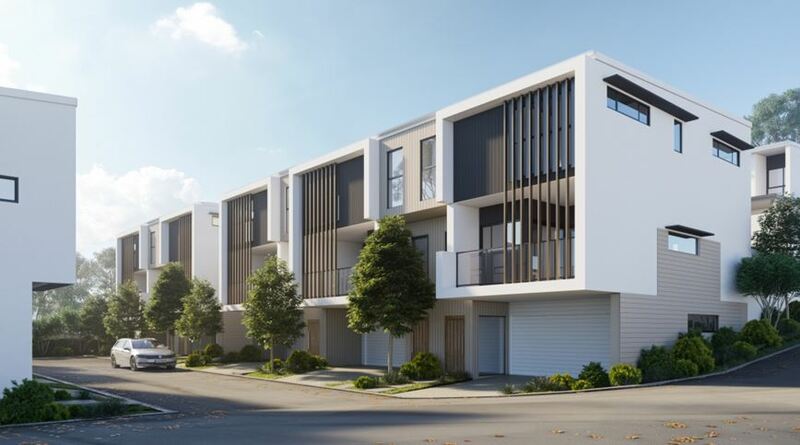 Northwood Townhomes are a new townhouse development located in the leafy suburb of McDowall, just outside Brisbane. There are 34 townhouses in this development: 25 three-bedroom townhouses, and nine four-bedroom townhouses. Prices for these new townhouses start at $570,000. Northwood is designed for families, and as such, includes extra storage, larger backyards, and a playground for all residents to use. 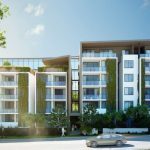 The new development is also located close to a number of shopping precincts like Westfield Chermside, schools, hospitals and transport, which adds to the appeal for families. 25 three-bedroom and nine four bedroom townhouses. 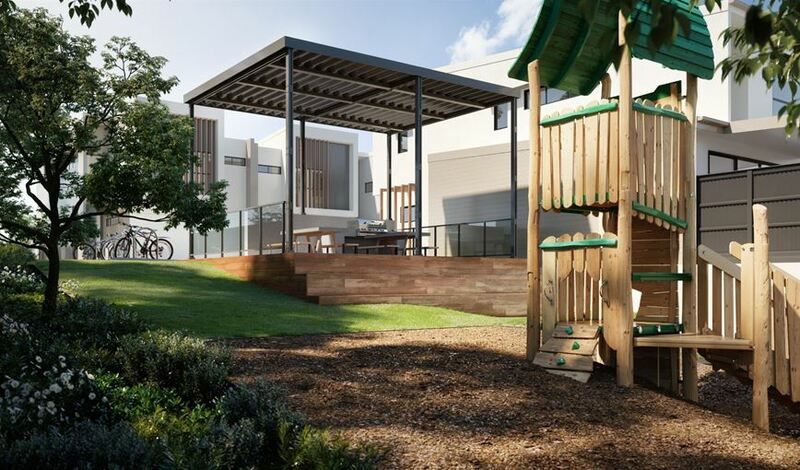 These off-the-plan townhouses have a range of features that make them ideal for families. 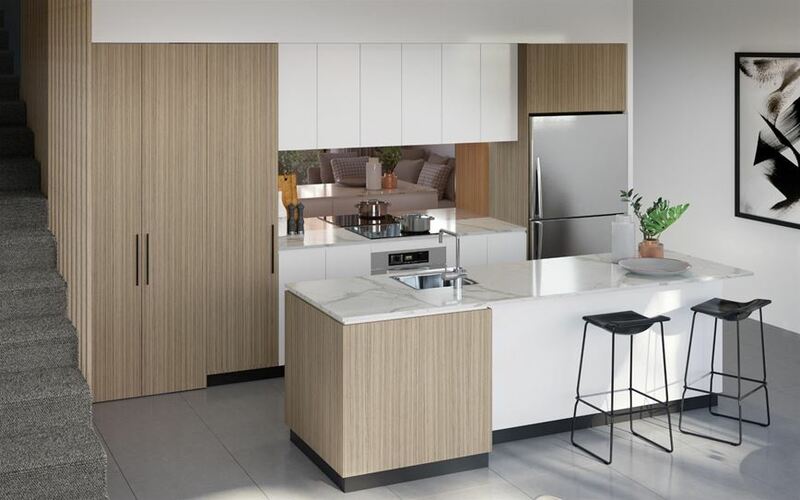 The Northwood Townhomes display is located at 988 Hamilton Road, McDowall, Brisbane. It is open Wednesday to Sunday, 12:00pm to 2:00pm. Northwood Townhomes have been designed with families in mind, which is evident in many aspects of their design. From the open-plan living areas and kitchen, to extra storage — everything a growing or established family would need is considered in the new home design. 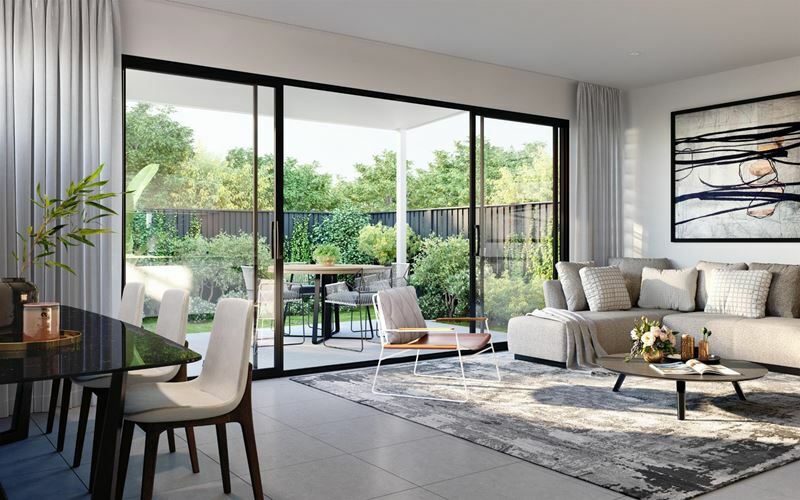 The family-friendly design is further accentuated by the location, as these north Brisbane townhouses are situated next to a major parkland, with the surroundings integrated into the new townhouse designs. 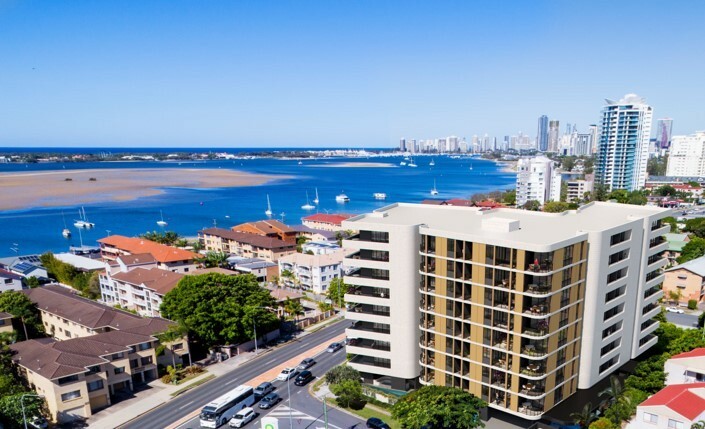 Summit LabradorWaterside Gold Coast apartments with resort style facilities from just $355,000. The townhouses at Northwood are finished in a way that complements the natural surroundings, which was a major focus for the developers, Blue Sky. This idea is echoed throughout the interior design with similar colour schemes and wooden features integrated throughout. 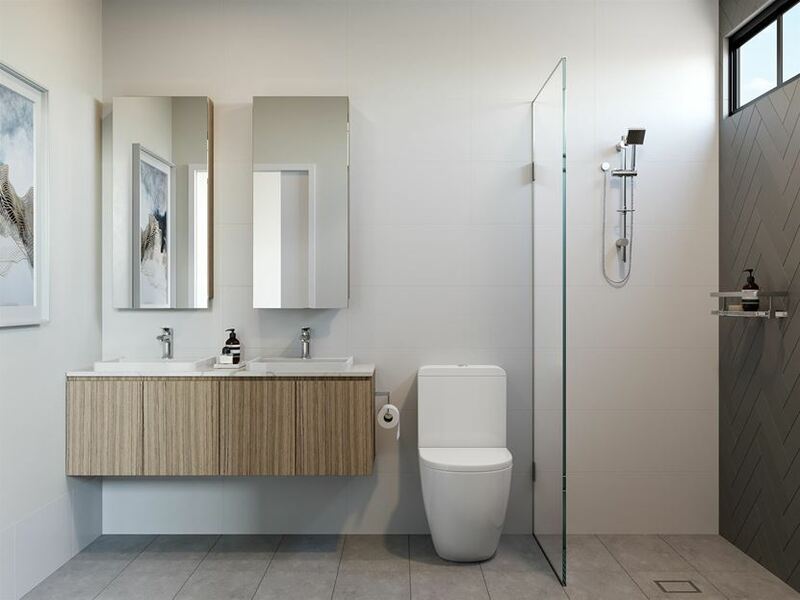 This mirroring of the surrounding Australian flora is apart of the aesthetic of the whole Northwood Townhomes estate, which is designed to encourage open living and interaction between families and their neighbours. McDowall is known for being a very safe and family friendly suburb located on the northside of Brisbane. Sitting thirty minutes away from the CBD, McDowall is a much quieter suburb than some, but it is extremely well connected and there are a number of shopping and leisure centres nearby. There aren’t a lot of schools in McDowall, but there are quite a few in the surrounding areas and, of course, any school in Brisbane is really an option given McDowall is only half an hour’s drive from the Brisbane CBD. McDowall State School is the main option for primary school-aged children in the area. High school students have the options of Prince of Peace Lutheran College, Everton Park State High School and Northside Christian College, depending on where in the suburb they live, but all of those options are within a ten-minute drive of most parts of the suburb. Beckett Road is the main road that runs through McDowall, with Hamilton Road and Rode Road being the main offshoots. These main roads, and some of the smaller thoroughfares in the area, are all well-serviced by bus, but some side streets are quite a while away from any bus stops. This is something to be aware of, however there are bus stops five-minutes’ walk (or a one minute drive) from Northwood Townhomes, so this isn’t a problem for this development. McDowall tends to be a quieter suburb that is very family-focused, so there are quite a few parks and family-friendly spaces throughout the suburb. Northwood Townhomes is just down the road from Ponti Street Park, which gives residents another place to work out or relax with neighbours, friends and family. The Bunyaville Conservation Park with the popular swimming spot, Bunya Crossing Reserve, is also close by, providing yet another outdoor space for residents to make use of. If you need to escape the summer heat, Westfield Chermside with its cinema and multiple dining options, is also close by. Something to note about Northwood is that the development will actually be accessed via Ponti Street once complete, although it will still be located at its current address at 988 Hamilton Road. Residents at the Northwood Townhomes in McDowall also have access to a private BBQ, dining area and playground. This space is designed to allow residents to meet and interact, or host events with friends and family. 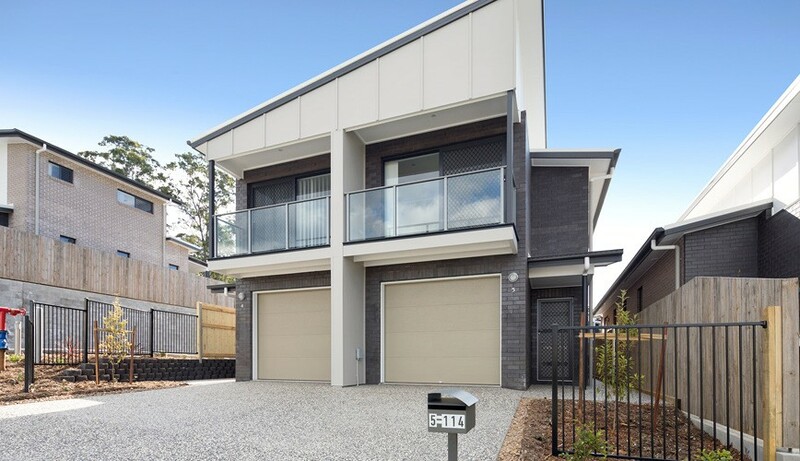 These new properties in McDowall are designed to complement the surrounding local flora and bushland, which is evident in the cool-coloured cladding, natural stone, and distinctive baton screens. This works to help the new townhouses assimilate into the surrounding environment, whilst still looking distinctive and attractive. The indoor spaces carry this theme through the townhouses, with cool colours contrasting with the wooden finishes. 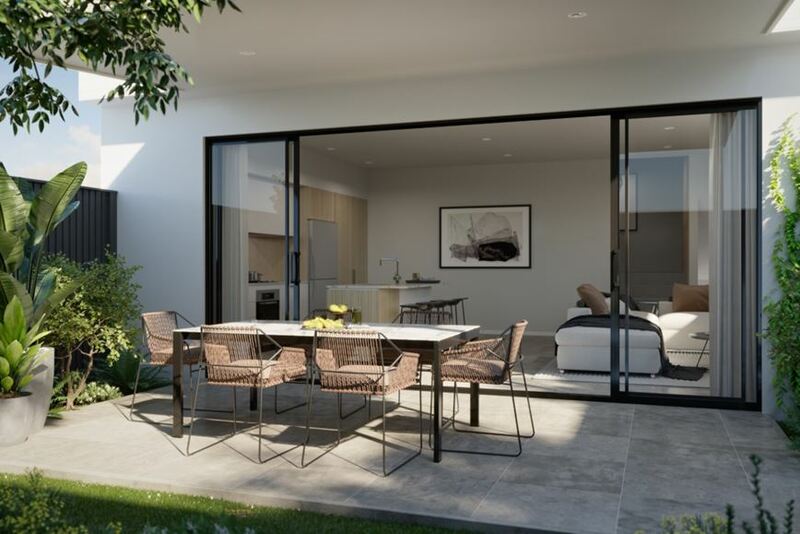 These spaces also imitate the exterior, as we mentioned above, and so the townhouses at Northwood are very open, which will allow residents to blend the line between indoors and outdoors — sure to be a much-loved and used feature in Queensland. 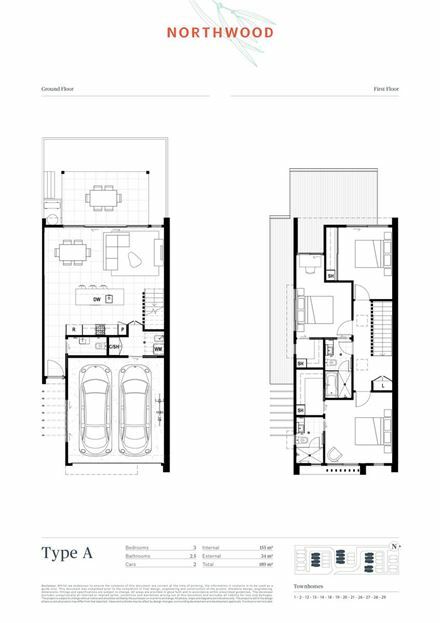 As you can see in the floor plans, these off-the-plan townhouses are designed for families. On the ground floor, there is a double car garage, which, along with the front door, provides access to the main living and dining area. This then opens up onto the ground-level courtyard and backyard which is designed for entertaining (or keeping rambunctious children entertained). The open-plan kitchen looks out onto this area, with the laundry and a half bathroom also on this level. The second level hosts all of bedrooms, and again, you can see that these townhouses are for families — the master bedroom is on the opposite side to the other bedrooms, giving mum and dad some breathing space. The master bedroom on all floor plans has an ensuite bathroom and walk-in-wardrobe. The other bathroom on this level includes a bath, which is a nice luxury you don’t often see in townhouses as standard. 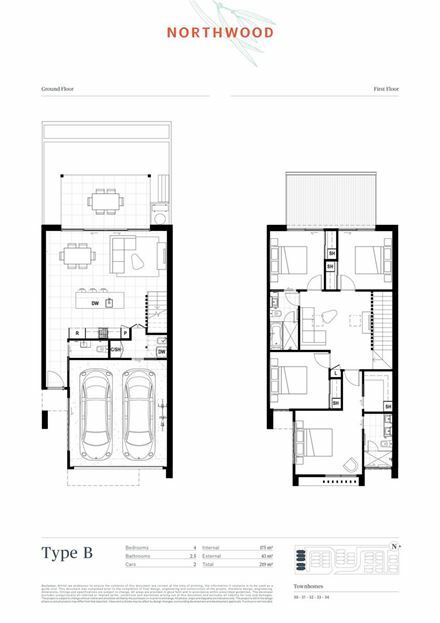 In the four-bedroom floor plans, the upstairs area also includes a second living space. The Northwood Townhomes are finished to a high quality, with an emphasis on finishes that look extremely luxurious without the sky-high costs. The kitchens all have chrome fittings, timber baton screens, marble-look benchtops to complement the cool grey and white in the area. All of the bedrooms have high-quality carpets. The townhouses for sale at Northwood Townhomes are intended to be for owner-occupiers. Please fill out the enquiry form below for investment analysis details. 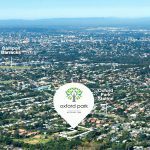 There are quite a few developments with new property for sale in the surrounding suburbs of McDowall. Bridgeman Hilltop is a nearby house and land estate in Bridgeman Downs. The 133-lot estate has new land for sale that ranges between 400m² and 788m². 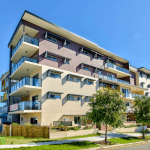 Evoke Chermside is a recently completed apartment development in the nearby suburb of Chermside, and there is also Trend in Everton Park, a townhouse development for first home buyers. The Hills Residences, located in Everton Hills, has of 91 new townhouses for sale and a central community park. Please fill out the enquiry form below for body corporate details. Blue Sky Private Estate is a Brisbane-based property developer that has worked on projects all around Queensland. The team have over 150 years of experience between all of them. 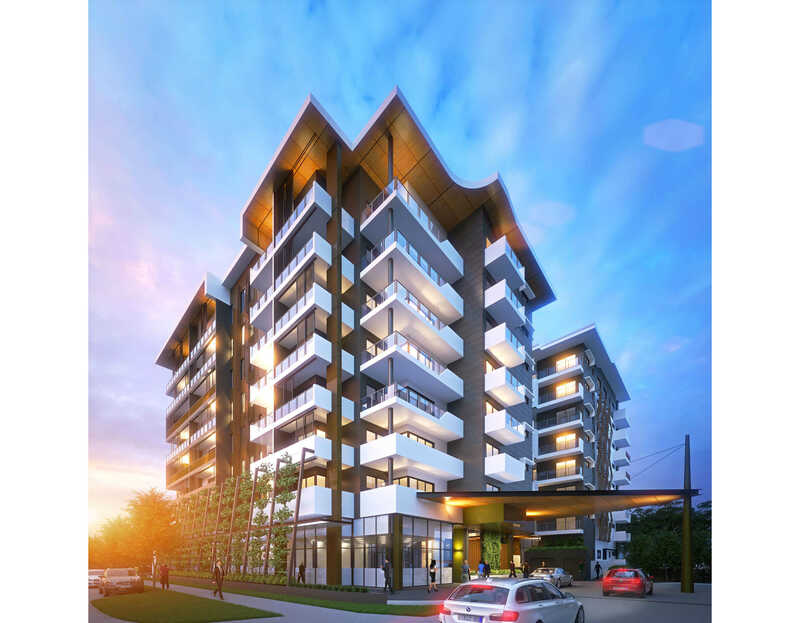 Other projects Blue Sky has in Brisbane currently include Aura in Milton and The Tallows Indooroopilly.